﻿ In all of literature and stage their are few characters who can match the character displayed by Jean Valjean in Les Miserable. His begins the story as a recently released convict who is shunned everywhere he goes because of his criminal record which he gained merely for stealing a loaf of bread. He is hardened by the world, and even after he is taken in by a priest he dcideds to steal all the holy man's sliver. However, he is quickly caught and brought back before the priest, and a life in prison seems almost certain. Instead, in an act of incredible grace the priest says that he gave him the silver. 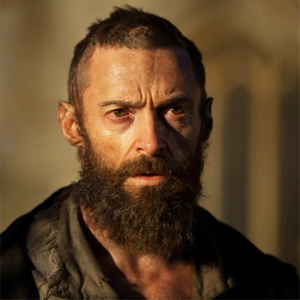 Moved and transformed by this act of kindness, Jean Valjean decides to change his ways and live a life that will honor God. From that point on he never fails to display a loving and forgiving spirit. After a worker in his factory, Fontine, dies, he takes it upon himself to take care of her daughter. The loss of her job at the factory had made Fontine turn to prostitution in order to support her daughter, and it is Jean Valjean alone who has compassion for her. After learning it was her unfair firing from his own factory that led her to this life, Jean Valjean feels responsible for the daughter, Cossette, that she leaves behind. For the rest of his life Jean Valjean does everything he can to provide I good life for Cossette, even if it means disregarding all of his personal welfare. At the same time he is being pursued by Inspector Javert, a lawman obsessed with arresting Jean Valjean for breaking his parole. Javert's refusal to forgive directly contrasts Jean Valjean's compassionate nature. 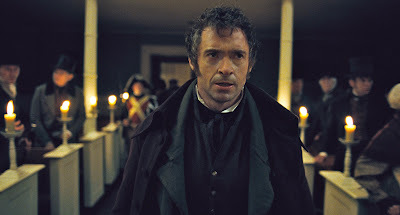 Jean Valjean also tried to give himself up to be arrested after learning a man would be arrested for his crimes, when he could have said nothing and gotten off scott free, and would have done so were not for his commitment to taking care of Cossette. Jean Valjean's ultimate act of kindness comes when he spares the life of Javert. Javert even promises he will continue to pursue him if his life is spared, but Jean Valjean lets him go anyway. These acts of love and forgiveness make Jean Valjean a character that will live on for generations in the minds of viewers of the play and movie, as well as readers of the book. 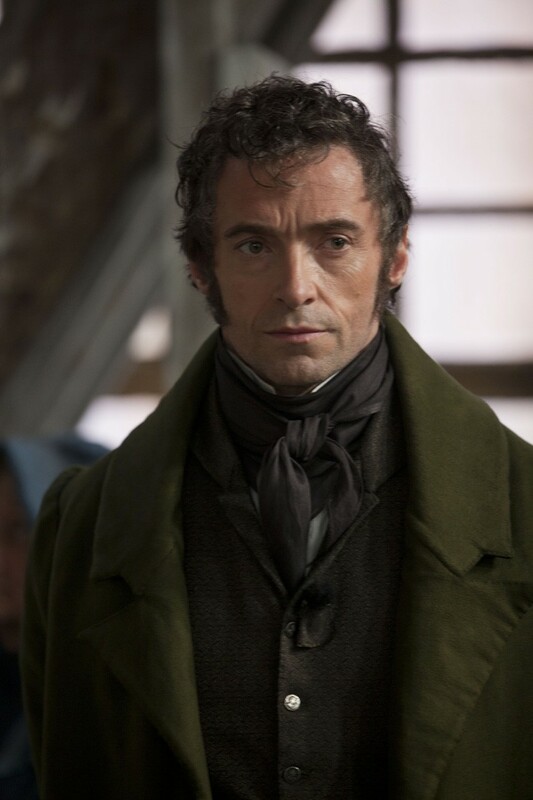 I thought Hugh Jackman's portrayal of the character was masterful. He did a brilliant job of expressing the character's raw emotion and pain. It's a performance he may and probably should win an Academy award for. My soul belongs to God, I know I made that bargain long ago. He gave me hope, when hope was gone. He gave me strength to journey on. This quote from the song "Who am I?" 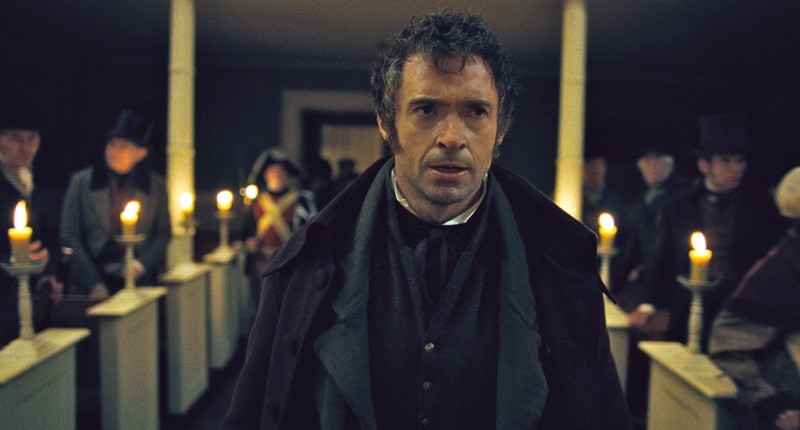 shows Jan Valjean's commitment to doing what is right, even if it means a return to jail. His new found loving and kind spirit cannot allow him let an innocent man go to jail in his stead, even though he has done no real wrong either.